Happy Saturday! 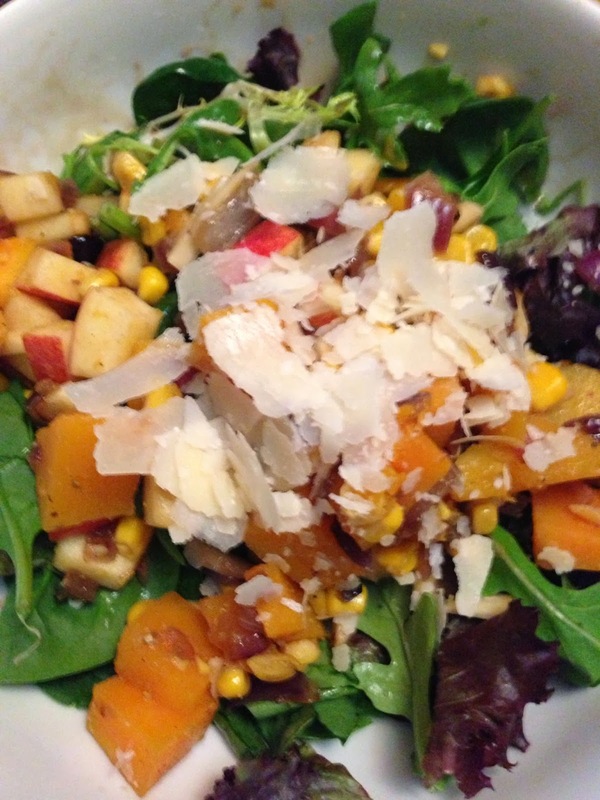 I always crave root vegetables in the fall and I LOVE salads. 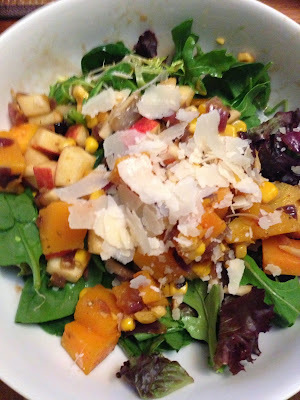 I made this delicious fall salad with a mixture of hot vegetables on top of cool lettuce ~ perfect! I would recommend this as a side to chicken or fish OR you can just eat it by itself for lunch or a lighter dinner. 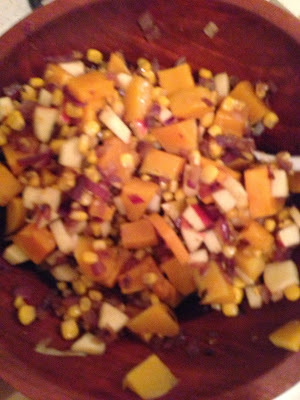 Ingredients: Satay onions, mix with cooked chunks of squash, canned corn, finely chopped apples, olive oil, and salt/pepper to taste. 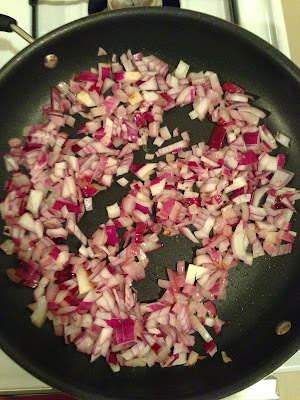 Place over mixed greens and sprinkle with fresh parmesan.